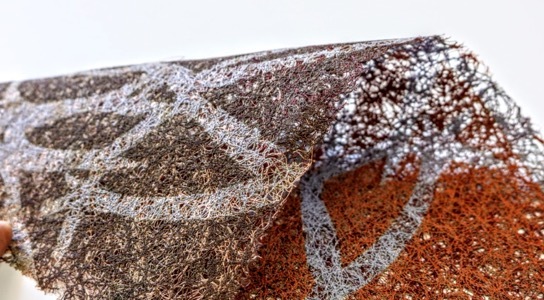 Originally from Nigeria, Chelsea MA Textile Design student Atule Akpa talks about her work that was inspired by fungi and the effects of fabric production on the environment. I have been studying the way fungi behaves within different ecosystems. Part of my inspiration came from how fungi recycles waste into new forms with no destructive impact on its’ environment. Most upholstery filling is made from polyester, which is known to have a negative impact on the environment. My research into sustainably-recyclable biomimicry looks at how this material can be transformed into other products without further destruction on the environment. My work for the final show is a lightweight material produced from recycled polyester staple fibre and polyester threads from upholsteries and plastic bottles. 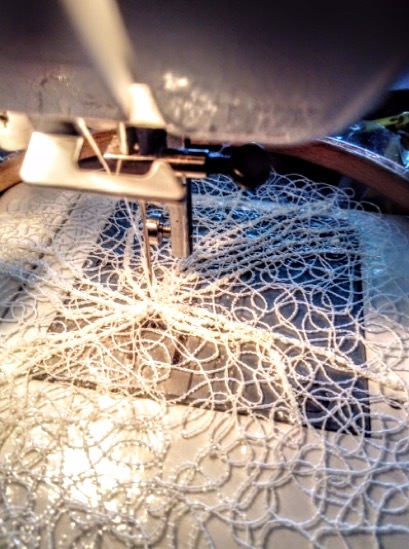 The pieces were made using a free motion embroidery machine. The greatest challenge was without a doubt having a baby 3 months into the course. It was about trying to steal time for my textile work whilst he was asleep and in between breast-feeding! I want to take up a research assistant job at a university alongside pursing a doctorate programme in a textile-related course. The freedom and feeling my confidence grow as my ideas took shape and my research became more creative. 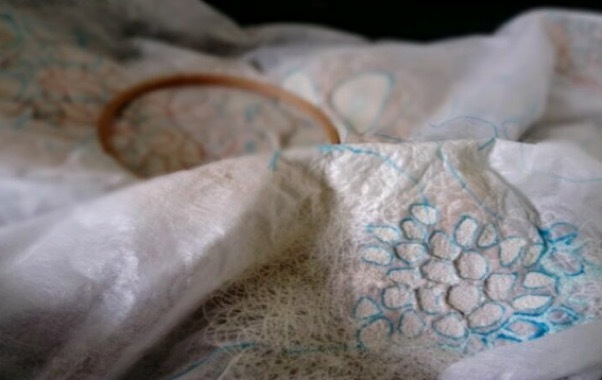 What would you say to someone who is thinking about studying MA Textile Design at Chelsea? At times you might find it difficult, but persevere and the hard work will pay off.